Mariano Rivera never dreamed of becoming a professional athlete. He didn't grow up collecting baseball cards, playing Little League, or cheering on his home team at the World Series. He had never heard of Babe Ruth, Lou Gehrig, Joe DiMaggio, or Mickey Mantle. From a childhood playing pickup games in Panama to an epic career with the New York Yankees, Mariano's rise to greatness has been anything but ordinary. He's the guy on the mound who doesn't hear the crowd, just the sound of the ump calling, Strike! The teammate you can rely on, even when the bases are loaded in the bottom of the ninth. Whether you know him as Mo or as the Sandman, Mariano is The Closer, and this is his story. 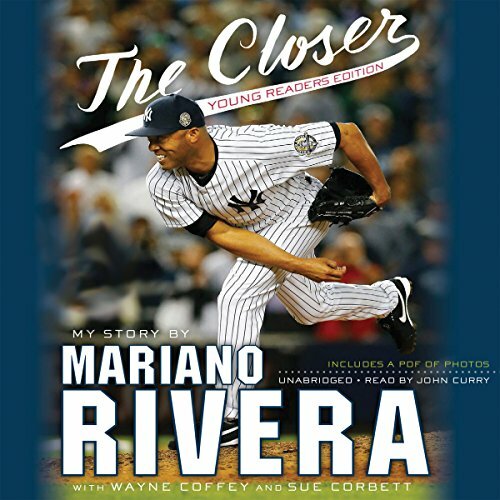 Full of tips for young athletes and tales from the Yankee clubhouse, The Closer: Young Readers Edition is an inspiring story of perseverance, sportsmanship, and dedication that have defined the life of a baseball legend.